On Feb 17, 18 and 19, IKO Training Seminar was held at Lausanne, Switzerland on Lake Geneva organized by IKO Switzerland Dojo Operator, Sensei Giuseppe Biancaniello. 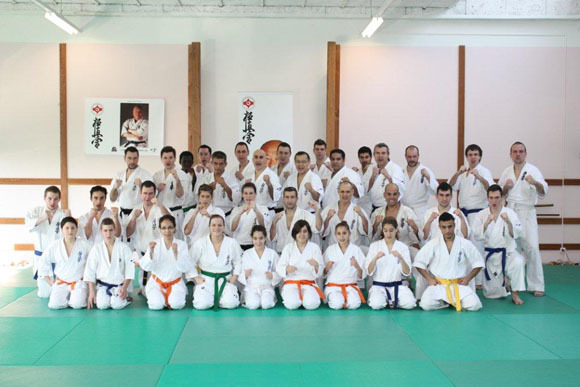 Shihan Katsuhito Gorai was invited to lead the seminar which was attended by IKO members from Switzerland, Romania and France. In addition to intensive sessions for adult members, special sessions for youths and children were held.